Do you like flavor in your water? The weather is getting warmer in New York…FINALLY…and we're playing more outside and need to keep hydrated. Look what I found being sold in our local Wholefoods. 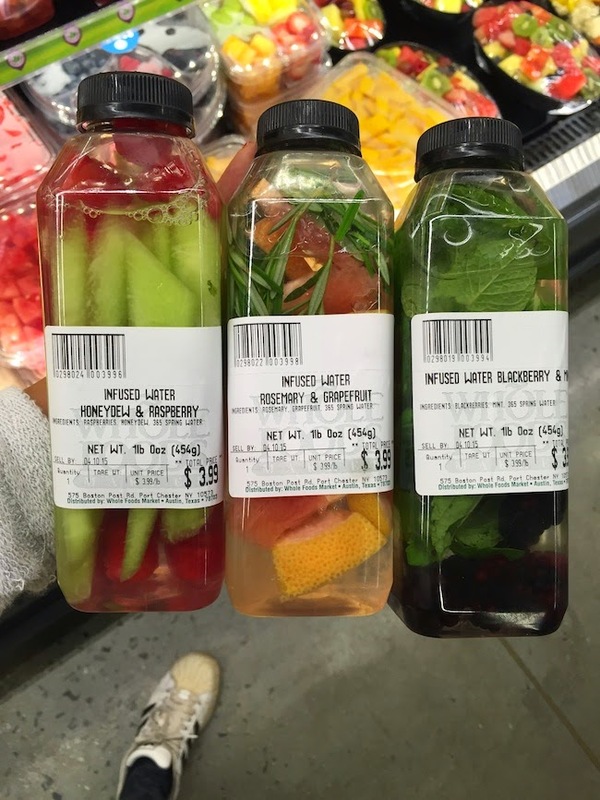 Infused water. Oh this is sparking brilliant ideas in my head now! Looks YUM? I'm inspired to start infusing my own water. I found this post with guidelines on how to do it and they give a menu with more concoction mixes to experiment with. Looks SIMPLE. I think my kids might dig this too. If so…double win! This is one attractive water bottle for your detox bottle creations. Unlike the prior designs, this bottle doesn’t make use of a separate infuser, but rather includes a neat pouring spout with separator built-in. I’ve had my eye on one of those bottles for any little while and hope to upgrade soon.